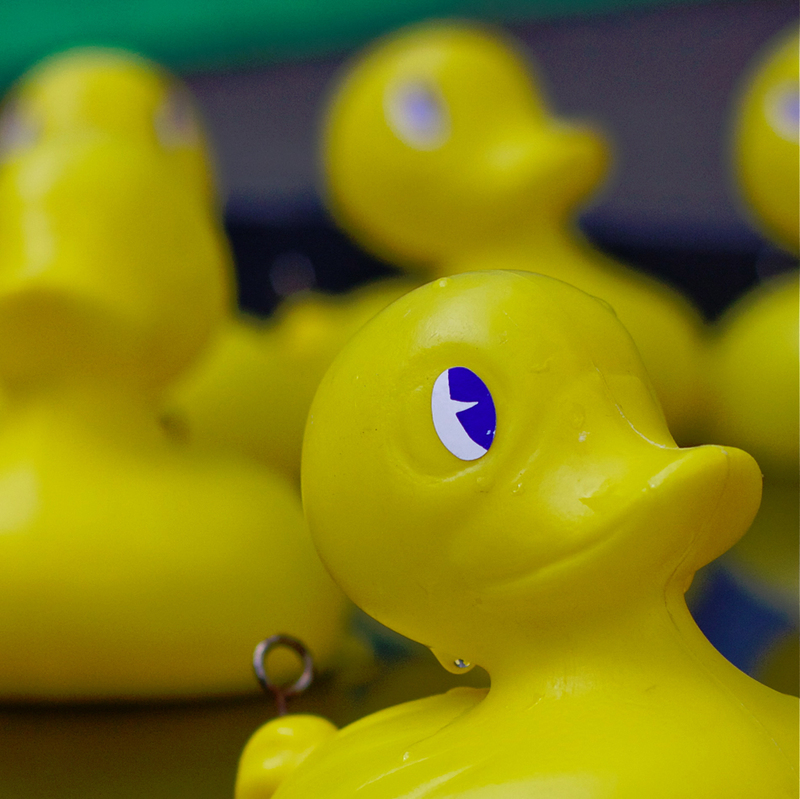 Hook a duck and win a prize! 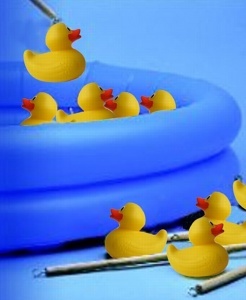 Includes 3ft inflatable pool, 3 hooking rods and 10 ducks. Players hook a duck and turn it over to see if they have won a prize. Numbers or markings on the bottom of the duck indicate what prize is won.